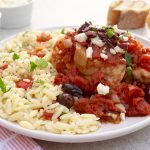 Tomato Feta Chicken is a Greek style recipe. 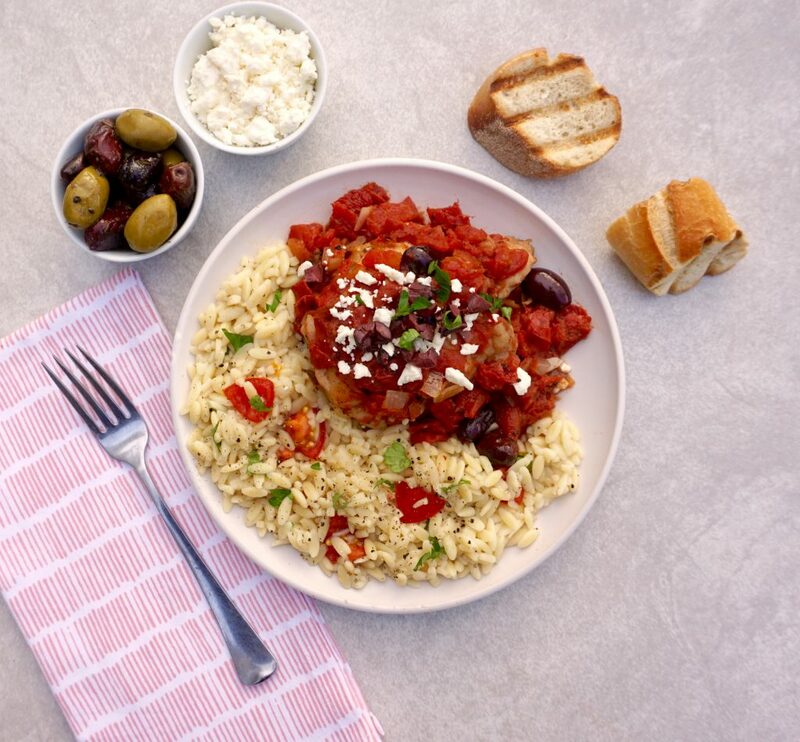 Chicken thighs are browned and then baked in a tomato sauce with onion, garlic, wine, olives and oregano. This makes the chicken tender and flavorful. It is served with feta cheese sprinkled on the top. 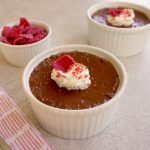 This is a very easy to make recipe. It is simple enough for a weeknight dinner, yet it is nice enough for serving guests. 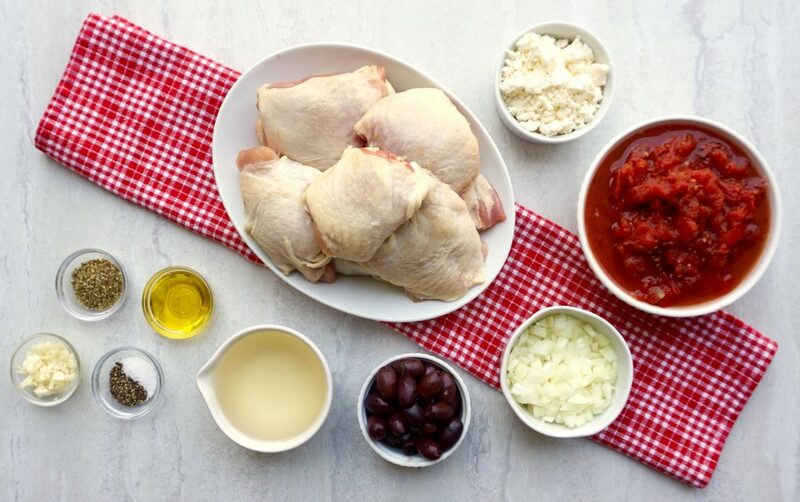 You could brown the chicken and make the sauce ahead of time and assemble in your baking dish. Bake it when you are ready to serve it. 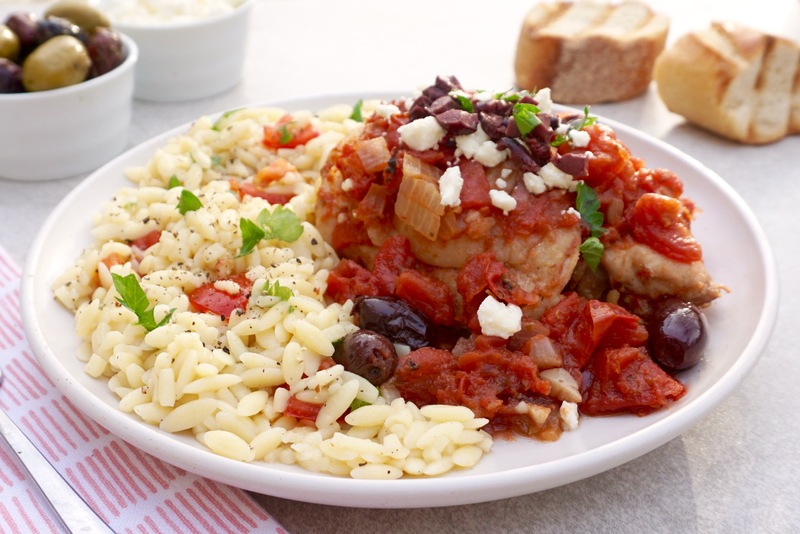 Tomato Feta Chicken would be great served with Orzo with Mint Tomato and Feta. Sprinkle both sides of the chicken thighs with salt and pepper. Add the olive oil to a large skillet and heat over medium low heat. Add the chicken thighs and cook for 5 minutes on each side so that they are evenly browned. 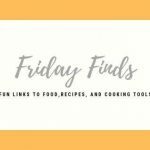 Remove the chicken from the skillet and place into a 9″x 13″ inch baking dish. Add the onions to the skillet and cook over medium low for 3 minutes, until they start to become translucent. Add the garlic and cook for an additional minute. Add the tomatoes, wine, oregano and olives to the skillet. Increase heat to high and bring to a boil, then reduce to low and simmer for 10 minutes. Pour the tomato mixture over the chicken in the baking dish. Bake for 35-40 minutes, until cooked through. The internal temperature of the thighs should be 165 degrees. Remove from the oven and sprinkle with the crumbled Feta cheese to serve.